The US economy keeps adding jobs at a blistering pace. Businesses added 213,000 jobs to their payrolls in June, another strong month of gains. Employers kept hiring even as fears grew of a global trade war. The economy has added jobs every month for almost eight years, the longest streak on record. 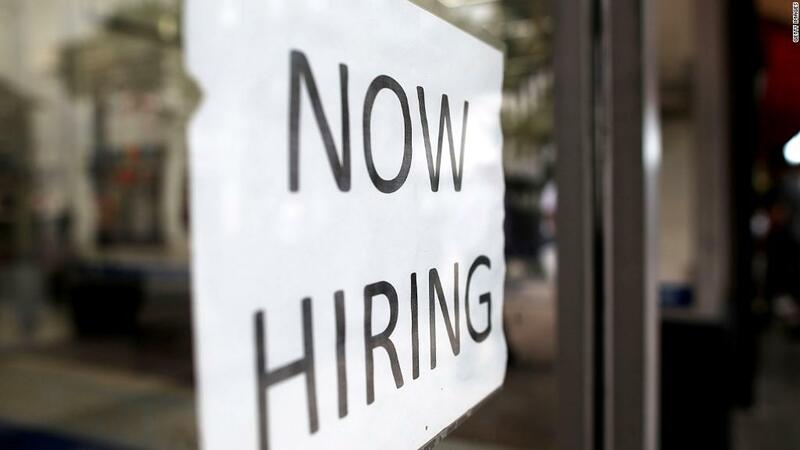 The unemployment rate inched up to 4%, the first increase in almost a year. But even that reflected a healthy economy: It rose because more than 600,000 Americans joined the work force. The job market is so good, many people who had previously given up looking are starting again. New entrants, including blue-collar workers and teenagers, shouldn’t have much trouble finding a job. There are more openings right now than unemployed workers, leading businesses to expand hiring to historically disadvantaged groups. About one in five small business owners say finding qualified workers is their biggest business problem, according to the National Federation of Independent Business. The monthly Labor Department report painted a less sanguine picture for workers’ paychecks. Although average hourly wages grew 2.7% in June from a year ago, they didn’t change much from May and came in below economists’ expectations. Normally, a tight labor market encourages employers to pay more to attract and retain workers. Wage growth is barely keeping ahead of inflation, which is firming up as the economy strengthens. Paychecks are growing at a slower rate than in previous expansions. Remaining slack in the job market could be keeping a lid on wage growth, said Cathy Barerra, chief economist at ZipRecruiter. With the job market expanding and new workers flooding in, some employers may not feel pressure to hike wages for their employees. Every sector of the economy added workers in June except retail, which lost 22,000 jobs to offset gains in May. Construction jobs have increased by 282,000 over the year to meet housing demand, and mining has tacked on 95,000 jobs as energy prices jump. Signs of the Trump administration’s trade war with China and did not show up in the report. Manufacturing added a healthy 36,000 jobs in June. But the Federal Reserve reported that businesses are becoming worried about the fallout. “Contacts expressed concern about the possible adverse effects of tariffs and other proposed trade restrictions,” the Fed said in minutes published Thursday. Businesses have scaled back or postponed investment plans because of trade uncertainty. Large companies are also starting to feel the effects of steel and aluminum tariffs. Harley-Davidson (HOG) announced plans to move production outside of the United States to avoid EU retaliatory tariffs.